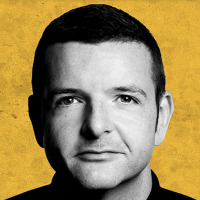 Kevin Bridges is a Glaswegian stand-up comedian who made his Edinburgh Festival Fringe debut in 2008, picking up a Comedy Award (formerly Perrier) nomination for Best Newcomer a year later. He has sinced earned numerous TV credits including 'Michael McIntyre's Comedy Roadshow', 'Mock the Week', 'Would I Lie to You' and 'Live at the Apollo'. Now a familiar face to UK TV audiences, Bridges' informed, subversive style was committed to DVD in 2010's 'The Story So Far...', with other TV appearances including the documentary "What's the Story". With numerous sold-out tours under his belt, he has been described as "brilliant" by one of his personal heroes - Billy Connolly.